It might happen to you someday. Some official may ask you to meet some non-existent requirement of the law. No need to panic. No need to have a lawyer on speed dial. 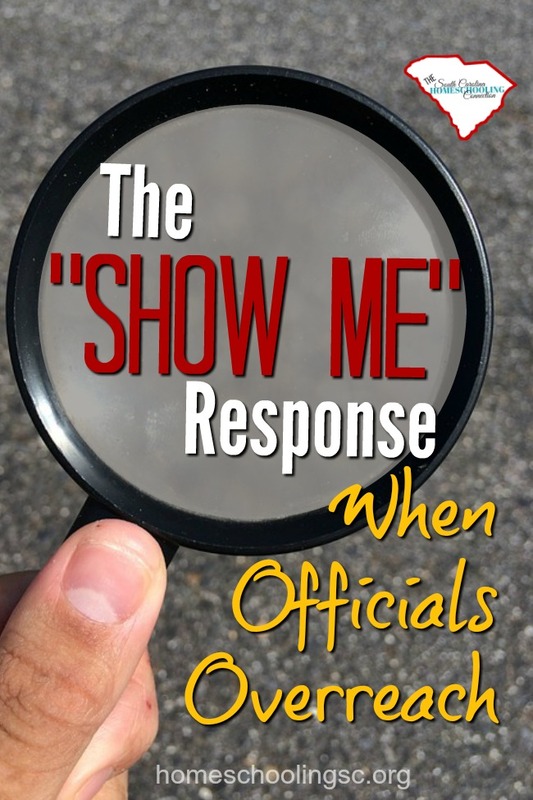 You need to know the “Show Me” response when officials overreach like that. It’s simple, really. Fear Factor or Urban Legend? In conversations with other homeschoolers, I frequently hear concerns about the dreaded knock on the door. Some official who will show up to harass you. 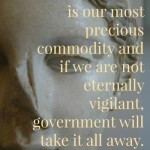 Will “they” want to look at your homeschool records or will “they” take your kids away? No doubt, you’ve heard it too. I don’t know where the rumors come from exactly. Maybe there was a time in homeschool history that was a real possibility–when homeschooling was illegal or uncommon. Maybe the stories have grown bigger–as rumors often do when repeated. But, we can’t be ruled by the fear of it. Equip ourselves with knowledge. I’ve been homeschooling a long time and I have met lots of homeschool critics and skeptics along the way. It’s important to be well informed of your rights and responsibilities. That’s how you’ll know when someone is overreaching the parameters of the law. So, let me tell you the story of the “Show Me” letter. Shay Seaborne filed her letter of intent each year (as is required by Virginia homeschool law.) One year, a new administrator who was misinformed asked for a list of books she would be using with her students. This request was beyond the law (Virginia homeschool law doesn’t say anything about submitting a list of books). Shay considered what to do. She didn’t want to call a lawyer over this trivial matter…and didn’t want to pay for that either. She thought about just making up a list to appease “the authority.” But instead, she decided to send a letter asking for the administrator to show her where the law required her to do this. The result: The staff determined that she had met the requirements to proceed with her homeschool year. That’s it! You see how the simple response works? Homeschoolers across the country have tried it when a school official has over-reached their authority. As the SHOW ME response concept has spread, it has worked again and again. 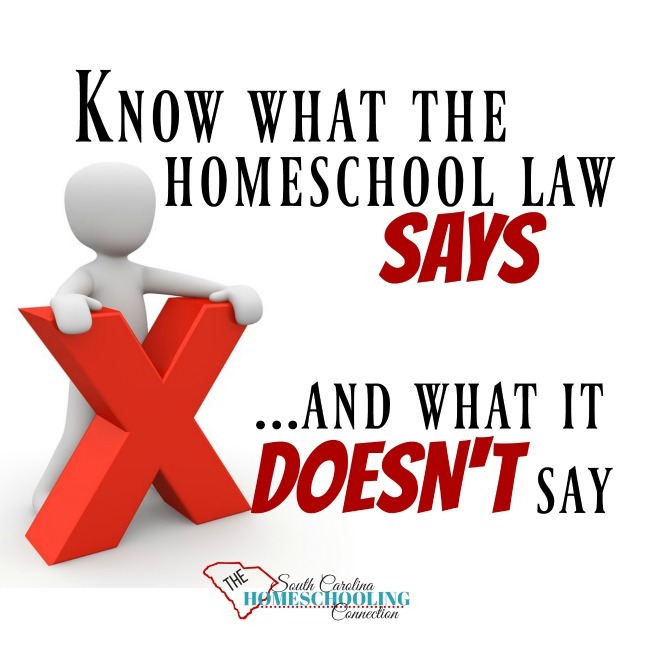 We should not be surprised when officials are misinformed or confused by South Carolina’s homeschool law. It’s a little complicated with the three options. So, it’s especially important for us homeschoolers to know what’s required (and what’s not required). 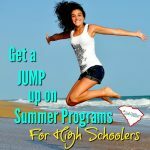 In South Carolina, individual homeschoolers do not send a letter of intent to the school district. Instead, families sign up with an accountability association. The association director files an annual standards assurance form at the Department of Education in the Spring and prepares an attendance report to the respective districts in January. Note: if a student is withdrawing from public school, the school may require enrollment verification from the association in order to withdraw the student from their compulsory attendance rosters. Here’s an example. I have seen situations when a district social worker has requested verification from families that have never been enrolled in the school district. Either they were homeschooling all along or they had been enrolled in an online school instead of the district. Basically, they are requesting a letter of intent (which is not required in South Carolina). The district official is misinformed. That information is part of the attendance report from the association director in January. 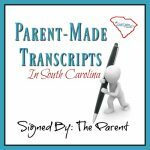 It does not include names or addresses of individual homeschool families–only the grade levels of the students within the attendance zone. So a little push back with the “show me” response has been effective in resolving such matters. 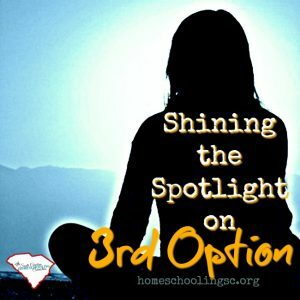 3rd Option homeschooling in South Carolina. 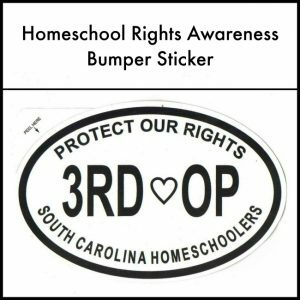 One of the best things about South Carolina homeschool law, is that you have a built-in ally with your accountability association. Third Option Accountability directors offer a variety of support services. But, they are all advocates for homeschool rights. Contact your director…even if your association has minimum requirements. Minimal invasion does not mean minimal assistance. If you are dealing with an administrator or an official who is misinformed, you don’t have to figure it alone. Your association director can help advise you, so that you have accurate information about your rights and responsibilities. Your director may also be able to speak office-to-office. 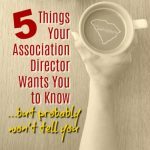 Your association is your authority ally. Here’s another example. I’ve seen situations when a parent is re-enrolling a student in school. The school administration wants to evaluate the homeschool curriculum or comb thru the parent’s lesson plans. It’s all done with the intent of accurately placing the student in classes. But, it’s beyond what you should have to do and it’s beyond what the school would require of any other educational option would be required to submit. Read more about how to re-enroll a student back in public school. I recommend that you contact your association director for professional advice and support. Their knowledge and experience means you don’t have to figure it out alone. A little push back from a director saying the “show me” response can be very effective in resolving issues too. Plus, your director may have forms for you to use or offer additional services to help you. Homeschooling is legal. Now, we stand on our rights and present ourselves as responsible professionals. We may face misinformed officials. Just keep calm and tell them the “show me” response. Have you used the “show me” response?